1. The first things I did was measure my window to determine how wide and long I wanted my finished blinds to be. For me this was 94.5 cm long x 94cm wide. 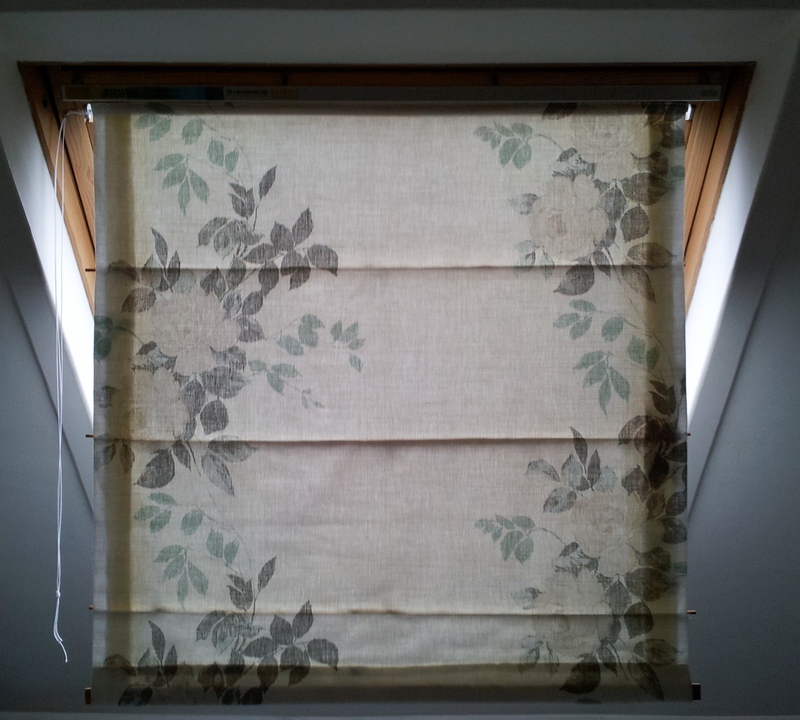 As I want to attach my blind onto a batten above my window I also added in a further batten allowance (I used 5cm to allow for the batten and hem etc). 2. 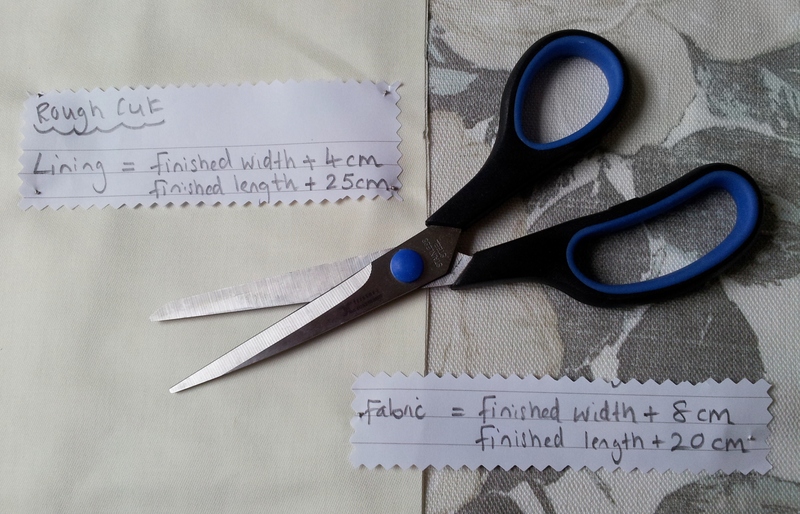 The fabric and lining are then rough cut – I added 4cm to my finished blind lining width and 25cm to the finished blind lining length and 8cm to the finished blind fabric width and 20cm to the finished blind fabric length. 3. 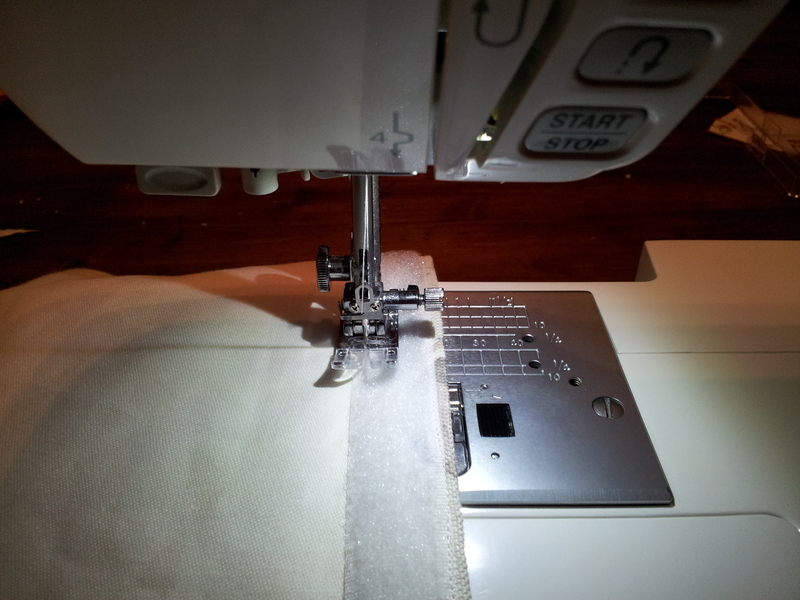 I then took my lining and folded 4cm to the wrong side along each side. Press flat. 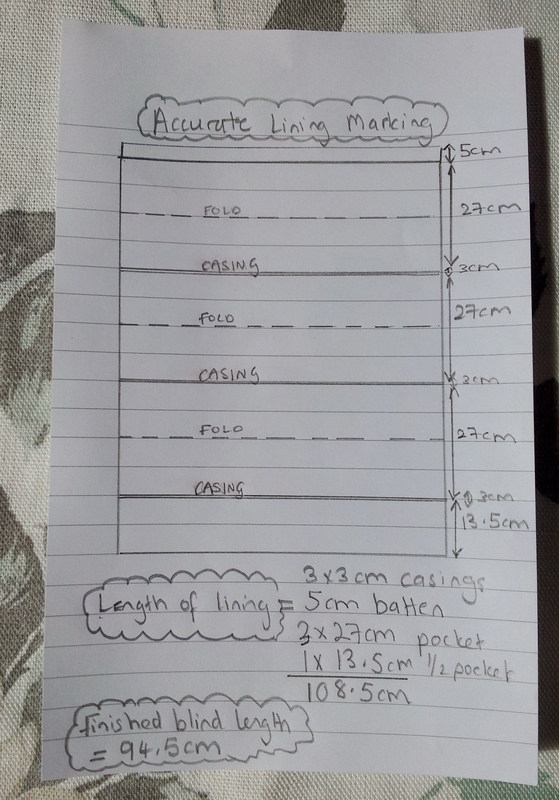 a – Firstly, worked out how many blind sections I needed by dividing my finished blind length by an odd number until I had a number between 13cm and 18cm. For a small blind this is about 5, for medium around 7 or 9 sections and for a larger blind around 11. As my finished blind length is 94.5cm (not including the batten allowance) I divided by 7 to get 13.5cm. 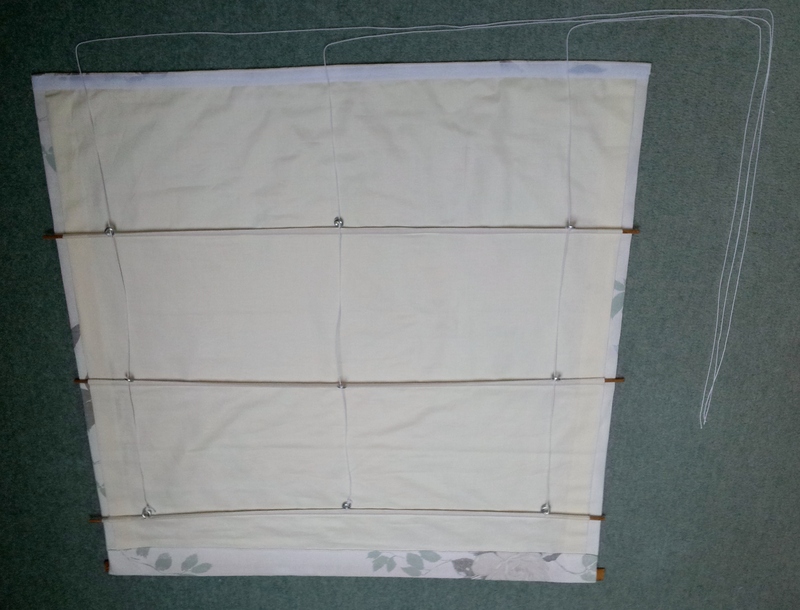 My blind therefore has 7 sections or layers when it is folded up. 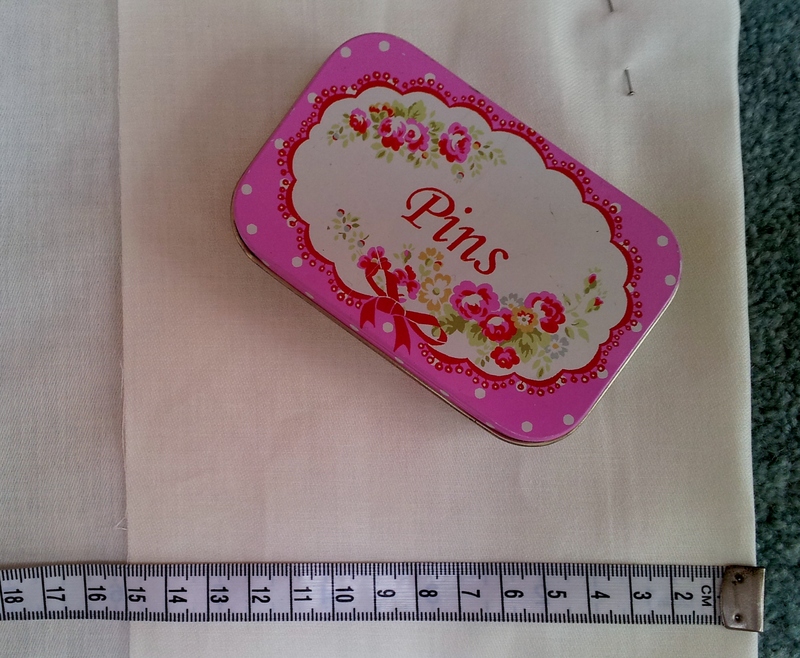 Each blind pocket is made up of 2 sections – which I have marked below – so my pockets are 13.5cm x 2 = 27cm. b – I then added in 3cm casings between each pocket (for me this was 3 casings) and 5cm at the top edge for batten allowance. I find when I draw my diagram / mark the lining, it is easiest to work from the bottom edge up. As you will see from the photo, my blind lining will therefore need to be 108.5cm long (the excess from the rough cut can be cut off in step 12). 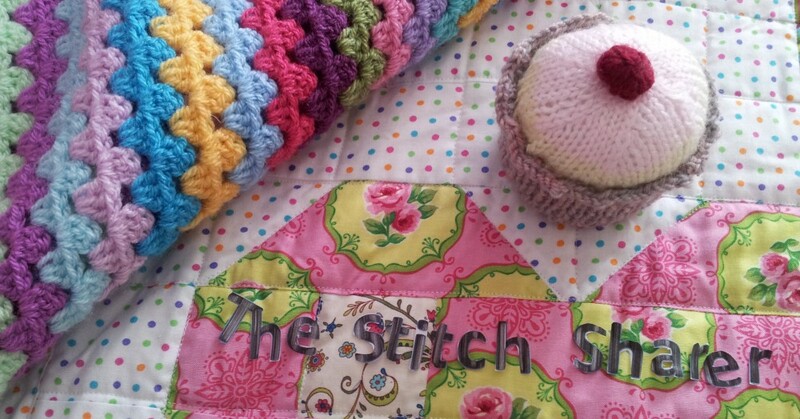 c – Once I was happy with the diagram, I transferred my markings with pins to the right side of the fabric. If you try this and are not sure of how your blind will fold up, you can always cut out your paper template and try it! 5. I then folded my lining along the centre of each casing and pressed it flat. Working from the bottom, my first crease / fold was at 15cm. This was due to a 13.5cm bottom half pocket and 1.5cm taking me to the middle of my first casing. 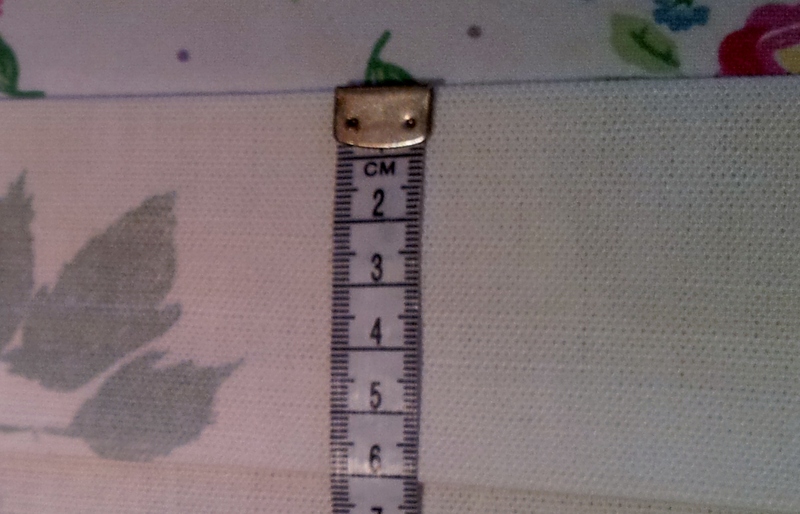 My next crease was a further 30cm away (27cm pocket + 1.5cm rest of 1st casing + 1.5cm to mid point of second casing). I continue working up my lining in this manner making a fold line in the middle of each casing. 6. 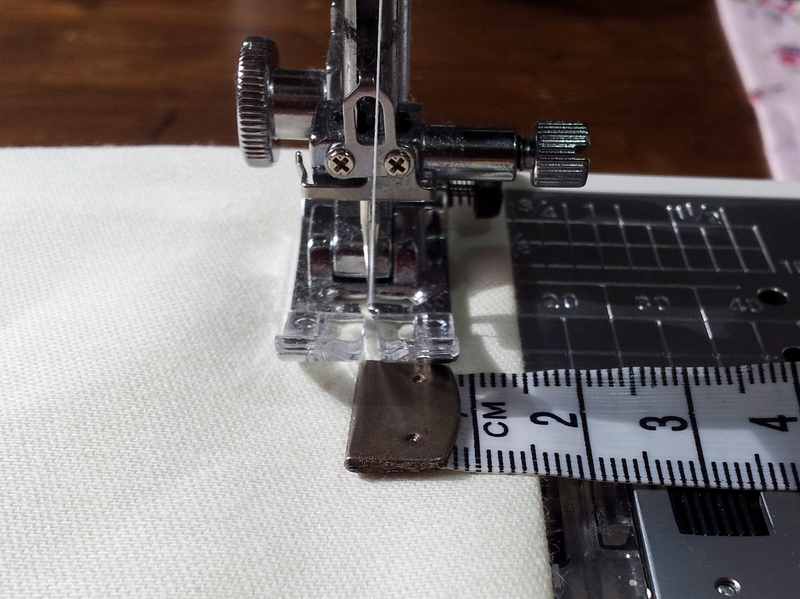 Once all my casings were pressed, I sewed a 1.5cm straight stitch in from each foldline – to give me a 3cm casing for the dowel rods. My lining was now prepared. 7. 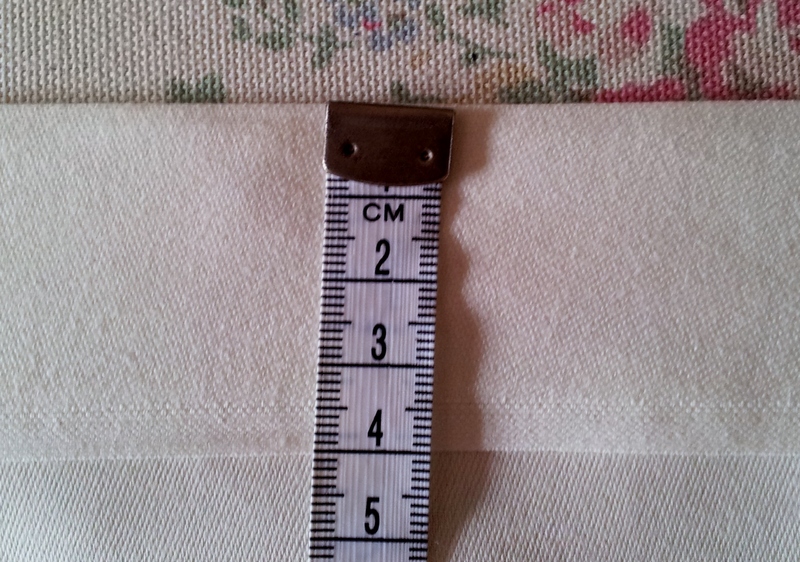 I then took my blind fabric and folded 4cm to the wrong side along each side edge and pressed. 8. Along the bottom edge of my blind fabric, I folded in 1cm to the wrong side and then pressed in 6cm again to form the bottom hem. 10. 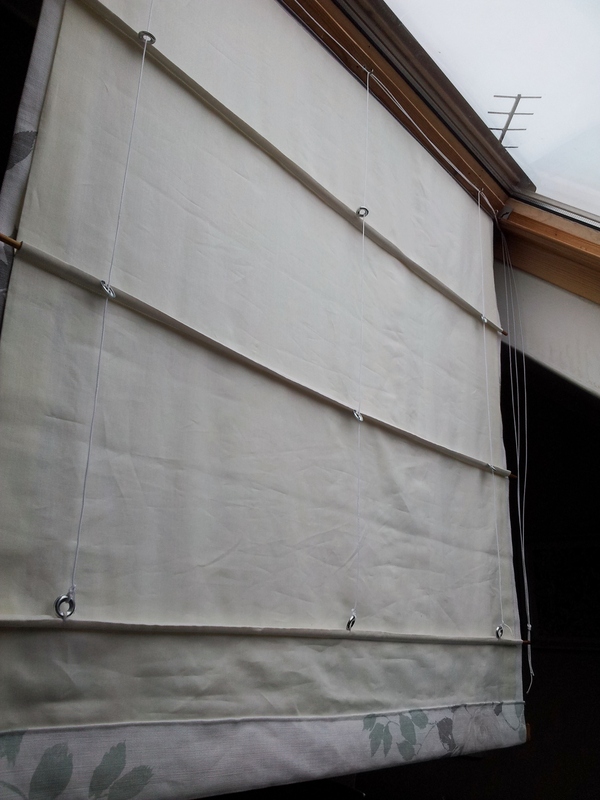 I placed my blind fabric, right side down, flat on the floor and then laid the lining, right side up, over the blind fabric (with dowel casings facing up). 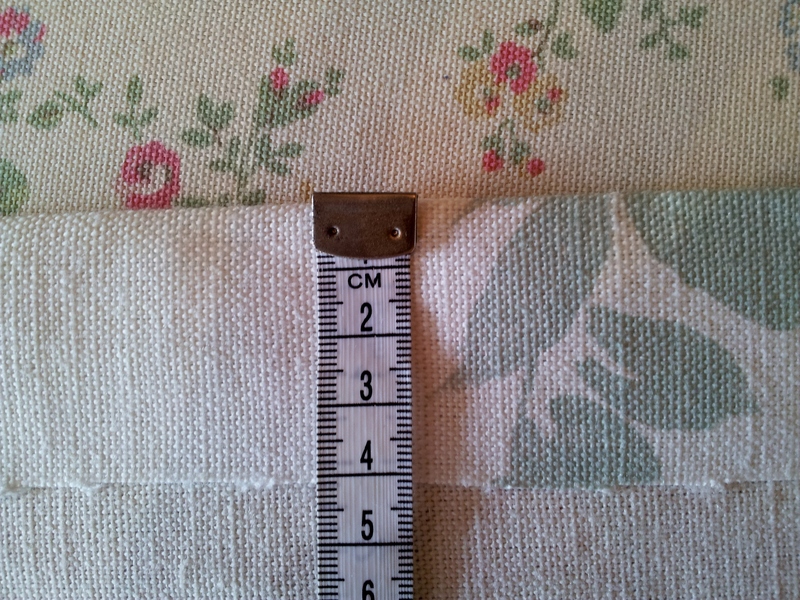 The bottom edge of the lining was then tucked in under my pressed blind fabric hem. 11. 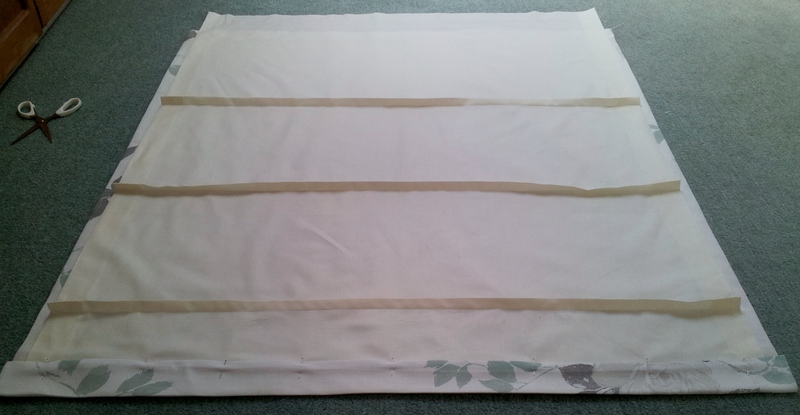 The next step was to pin my blind fabric and lining together along the top of the hem (the sides should be left open for the bottom batten) and the bottom edge of each casings. I had to make sure my fabric and lining were flat. The hem and bottom edge of each casing were the stitched to join the fabric and lining together. I had to be really careful not to stitch through my casings. 12. 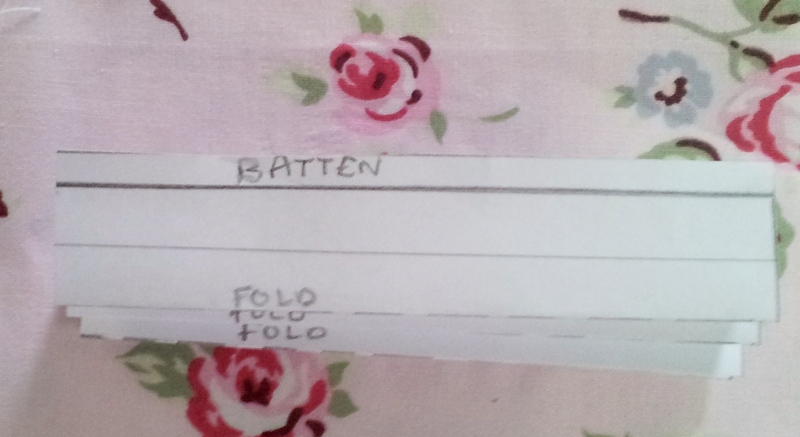 I then laid my blind on the floor and measured my required finished length – for me this was 94.5cm + top batten allowance. I marked it with pins and cut off the access before I stitched on some soft velcro to the batten allowance. 13. My dowel was cut so it overhung each side of my blind by approx 2 cm. The excess is used to keep the blind in position. I then pushed my dowel rods into the casings. 14. Although the best rings to use are plastic, I have used small metal washers so they show up in the photo. My first and last rings are positioned 10cm in from each edge of the dowel casing and the rest spaced evenly across the rows every 25- 35 cm or so. The rings were then stitched securely in place. 14. My bottom batten was next cut (with approx 2cm blind edge overhang) and slid into its bottom hem. My top batten was cut to the width of my blind and attached with screws in position. 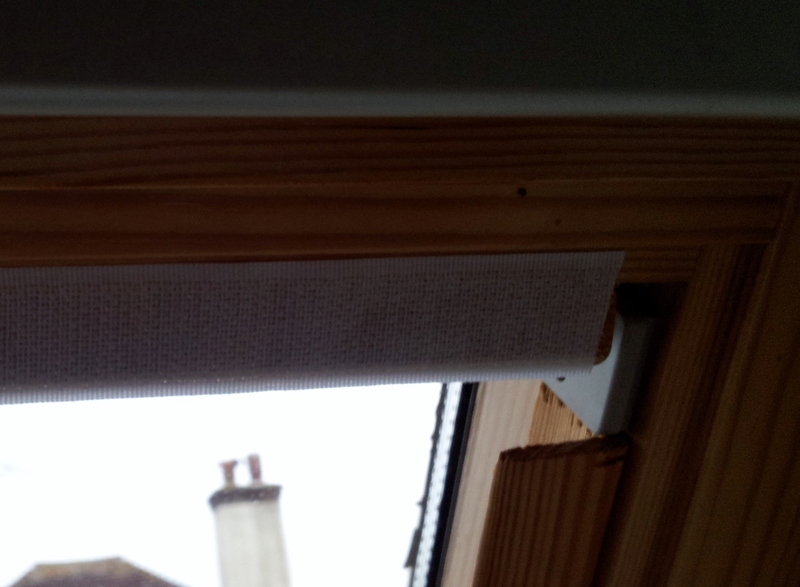 The front of the top batten was covered with self adhesive coarse velcro. 15. As the Velux window is at an angle, I had to add some wooden right-angled beading down each side of the window for my dowel rods to sit behind – see photo above. 16. 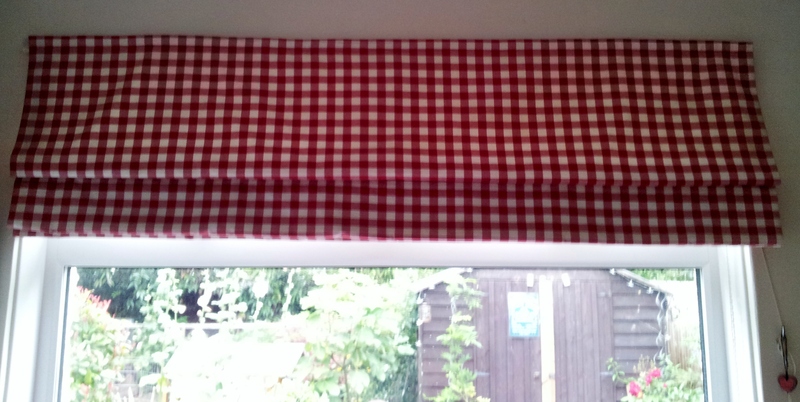 I attached my blind to the top batten using velcro and threaded up the back of the blind. I found the best way to do this is by knotting the cord to the bottom ring of the first vertical row and thread the cord up through the rings. Add screw eyes to the underside of the top batten at the same spacing as the rings on the back of your blind to pass the cord through. To make it easier for your to see how the cord is threaded through the rings I have laid this example out on the floor as a threading guide. Where the vertical cords bend to meet the top of the blind is roughly where the cord passes through the screw eyes. 17. I tucked my ends of the dowel rods and bottom batten behind the right angled beading before drawing up my blind by pulling all side cords simultaneously. 18.Once I release my blind back down it was time to admire my work! I then had to knot the blind cords together and attached a cleat to the side of the window so I could secure the blind with the cord when it is raised. As you can see my blind fabric hangs just in front of the right-angled beading whilst the rods are behind. Here’s the blind again, half-open. 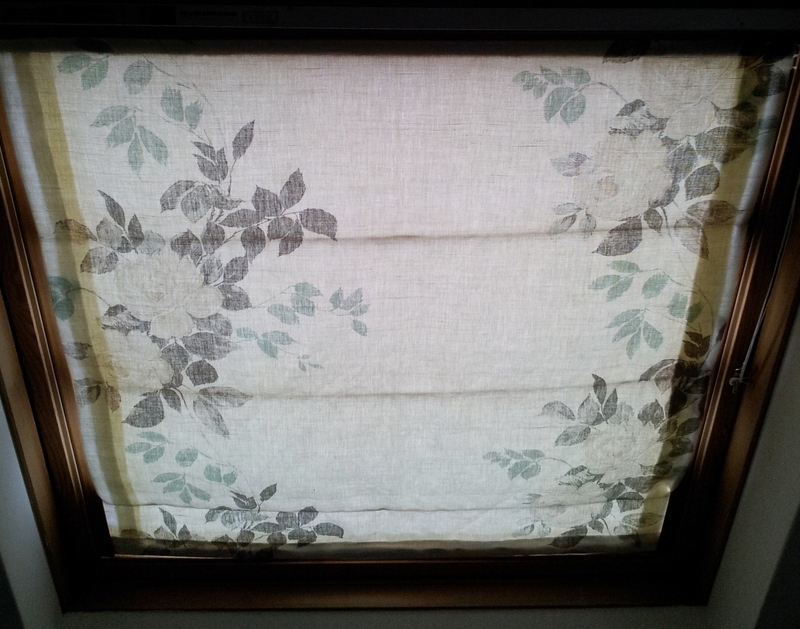 When I make a Roman blinds for a vertical window, like in my kitchen, the blind is made up as above. However, the dowel and battens need to be the same length as the dowel casings and no right-angled beading is needed. 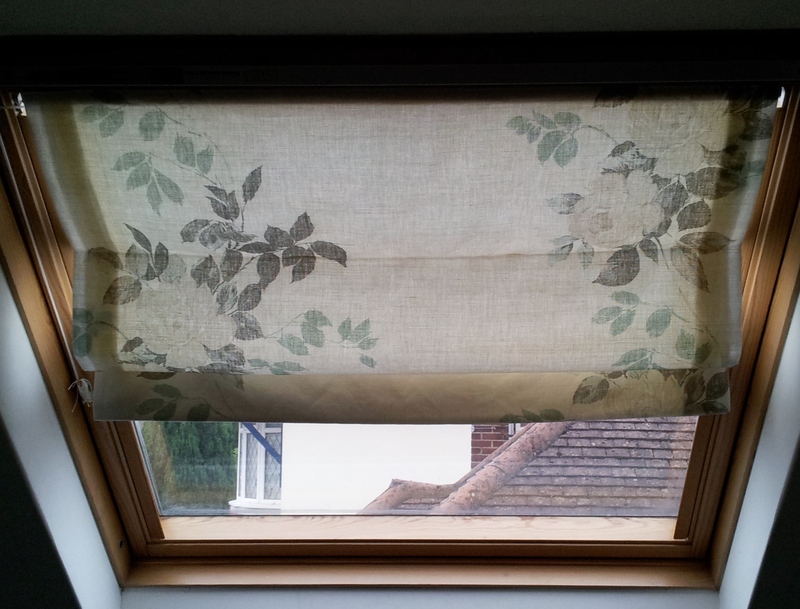 This entry was posted in How to guide, Sewing, Stitching and tagged How I made my Roman blind, Roman Blinds for Velux Windows, the stitch sharer, thestitchsharer by thestitchsharer. Bookmark the permalink. Thank you so much for this ace tutorial. I changed it a bit (I didn’t stitch the outer to the inner at the dowelling rods as didn’t want it to be visible) but otherwise ace. It really gave me the confidence to tackle what I felt was a super tricky project. I also decided to put it on the outside of the window and build a surround so that the window can still be open in the summer to let in cool air whilst the blind is shut (and I’m hopefully asleep). Hi, great tutorial, just what I need. I have a window size of 37 x 73 so have made the blind to this size. I am a bit stuck now as you say to cut rods 2 cm over. This would not fit inside the window. What am I doing wrong? Any help much appreciated. Hi there, I cut the rods longer as they sit inside a casing (L shaped piece of wood) I first attached to the window frame. if I was to send you the size of my window would you make me some for a fee ??? thank you so much for a such very comprehensive explaination. I can’t wait to try myself. What a brilliant idea. Just can’t bring myself to pay the kind of prices that velux charge for blinds. Can’t wait to try this. Thank you. 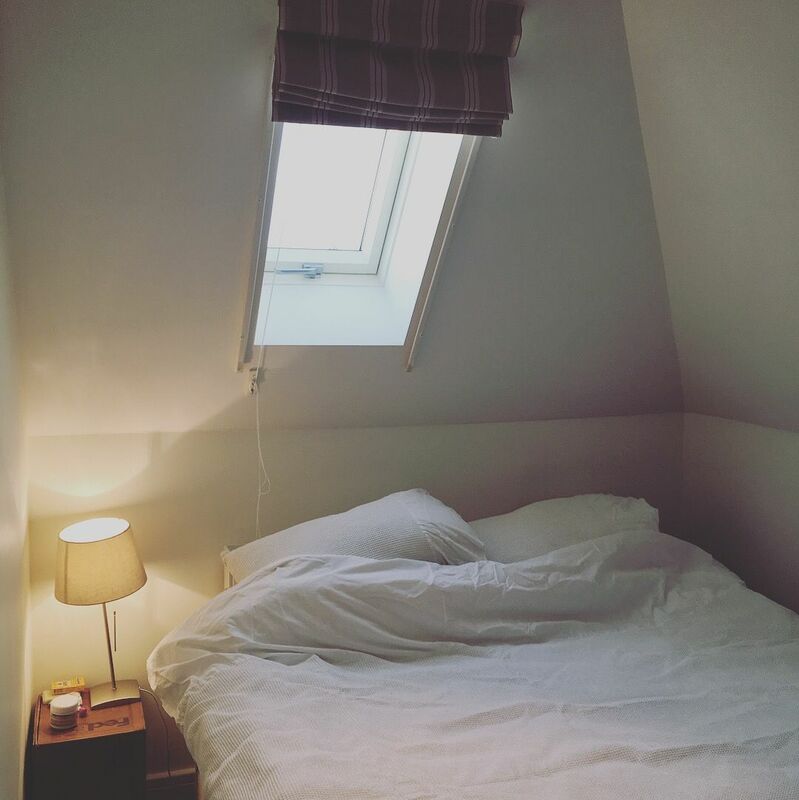 I love your blog, I have been looking all over the internet for ideas on how to make a blind like this, I am definately going to do this for my daughters bedroom, you have made every step easy to understand as I sometimes get confused with instructions. Thank you very much! Really glad you like the blind tutorial and to be of help. The blinds work really well and look really pretty when they are up. You’ll have to send me a photo of how the blind turns out! I’d love to do this! Think I need a bit more practice first though! I will come back to it! This is a very good tutorial, I’ve always wondered how to do this. Well done!